All is well that ends well? 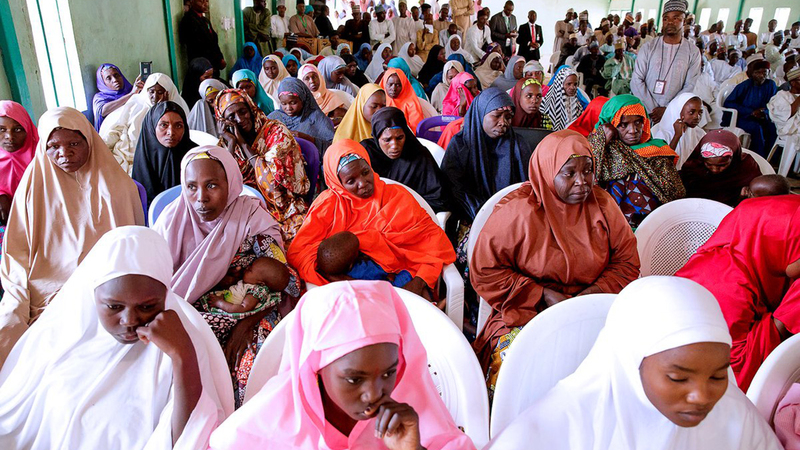 Apparently so – but not so soon the tsunami of controversies generated by the abduction of 110 school girls from Dapchi on February 19 and their eventual release five weeks later from captivity. The controversies – accompanying their guerrilla-like abduction and the Robin Hood style of their release – will take some while to peter out. That is if the Buhari administration that stands more to profit from the peaceful resolution of the crisis will not, by some act of omission and commission or even deliberate provocation, stoke the fire of the controversy further by engaging the opposition in the politics of the sordid drama that was at play in the last five weeks. And, also if the officials of government, afflicted by some puzzling inability to come to terms with the Dapchi conundrum, stop speaking from both sides of their mouths on these sensitive matters, apparently goaded on by irritating political statements of opposition political parties – and who can blame opposition elements for making a capital from an otherwise traumatic human tragedy. Example of such double-speak, not peculiar to Nigerian government officials, was amply but unabashedly provided on Sunday by the police whose Inspector-General Ibrahim Idris had earlier on Saturday clearly and loudly assured the nation that the Christian girl still held in controversial circumstance by Boko Haram, Leah Sharibu, was going to be released the day he was to visit Dapchi. In fact, he said, he had to cancel the trip because of the pending release. He was visiting the zone of crisis in a helicopter and there was an agreement with the Boko Haram captors that security should be relaxed in the area to allow them to bring the girl home safely. He didn’t want them apparently to mistake his helicopter for the one hovering around to detect their movement. Wisely, he shelved his visit to Dapchi that day. Said the IG: “I am supposed to go to Dapchi today but because I learnt that the schoolgirl, Leah may be released today, that was why I have to shelve my trip to the town.” But because the captors did not release their prey and apparently not lose face, the police had to recant the statement and blame the media for it. The Chibok-style abduction of these vulnerable school girls in broad daylight from their school was, to say the least, tragic. And because Ibrahim Geidam, the governor of Yobe State, had accused the military of withdrawing the troops stationed in the town some hours before the abduction happened, the opposition elements jumped to the conclusion that the abduction was stage-managed. Official reaction to the abduction was spontaneous even if it took delegation after delegation to Dapchi to figure out the number of those carted away. Government which rightly frowned at people who sought to play politics with the tragedy, went all the way out to ignore its own advice when President Muhammadu Buhari himself, uncharacteristically, played some politics when he told the visiting US Secretary of State, the now dismissed Rex Tillerson, that his own response to the Dapchi abduction was better than that of his predecessor. That, clearly, was the truth even if it was the president saying so himself. But did he need to say so to be misunderstood to have played politics with the abduction? Apparently nothing could stop the ruling party, the All Progressives Congress and the main opposition party, the Peoples Democratic Party from throwing brick bats at each other over the matter. The PDP had accused the ruling party of refusal to accept that security lapses on the part of the government led to the abduction in the first instance and the government had no reason to beat its chest for responding promptly to the abduction. 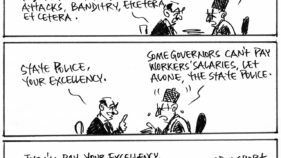 But the PDP would get as much as it gave and even more. APC reminded the opposition party of the gross ineptitude of the Goodluck Jonathan administration in the handling of the Chibok girls abduction in 2014. Obviously there was no way the President could have his wish that issues affecting people’s lives should not be politicised. Security of lives and properties is one of the major planks of his administration and it is therefore a major candidate for political power play. 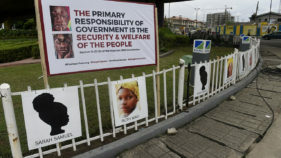 Which is why he is entitled to claim credit if his administration can successfully bring an end to all the major security crises the country is saddled with – the Boko Haram menace, the herdsmen-inspired killing and other assorted irritants like kidnappings and politically motivated violence. In the same vein, the return of the Dapchi girls, welcome and heart-warming as it is, has to be carefully managed to preclude further controversies and embarrassment to the government. But the manner of their return, which is clearly as controversial as the manner of their abduction, is not likely to close the chapter on all sorts of untenable insinuations of official complicity in the whole drama. The scenario as gleaned so far runs like this. Since the adoption in February, Dapchi and its environs had been swarmed by security presence. Though behind the scenes negotiation was going on quietly to secure the release of the girls, not much of this was known to the public and even to their traumatised parents who were simply surviving from day to day in absolute distress. Suddenly security was relaxed in the community. Then on this fateful day at about 8.30 in the morning the sleepy town was suddenly roused to life by a convoy of vehicles the type that carted away their children five weeks earlier. And what did they bring? They had brought the girls back to the warm embrace of their parents. But not before some lectures and admonition by the captors. It was as if they were telling the parents “we have graciously returned your children unharmed with a warning to sin no more…. No more boko, no more schooling, boko is haram.” This exercise took a whole of about 30 minutes. And then the convoys went back the way they came. Controversially! Government was to explain later that this was the agreement they had reached with the Al Barnawy faction of Boko Haram, the captors of their children. At this stage, the lives of the children is more important than any other consideration like ambushing these soldiers of fortune who brought the girls home or do anything else as nasty as to violate the gentleman’s agreement reached with the gentlemen who abducted the innocent girls. We are told that no ransom was paid but, may be in future, they could be paid for their humane treatment like providing medical facilities and other succour, like amnesty if they give up their stone- age doctrine of violent human rights abuses of a horrendous and egregious nature. 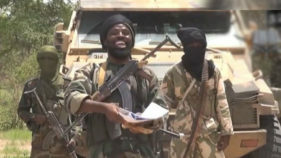 Controversially, the president has assured the nation he would accept Boko Haram surrender and grant them amnesty. But let us face the reality. And that reality, and this is contrary to the picture this government has been painting, is that Boko Haram has not been defeated, not decapitated, not radically reduced to the a state where it can no longer inflict damage to lives and property. In war you don’t negotiate with the losers. It is apparent therefore that we are negotiating, one strong army to another. We are negotiating with people who can plunge this country into another civil war especially along religious and ethnic lines. That is one reason why they choose to provoke religious violence and pit the Muslims against Christians. That is why they would choose to hold back Leah Shariabu, a courageous little girl who prefers to die for what she believes in than to forgo her faith. These primitive people with their primitive doctrine who claim to be Muslims may not have seen that portion of the Qur’an (2: 256) that says there is no compulsion in Islam, nay in any religion. If God for which they falsely claim to be fighting had wished He would have made everybody to take one single path – the path to perdition or the path to salvation. If these bloodhounds have chosen to remain primitive and uneducated it is their choice. And if you choose to buy peace from them, you will live in that peace – but forever at their mercy.